Thank you for your interest in West Point Family Homes! We look forward to welcoming you to your new home and want to make sure the application and leasing process is as convenient and efficient as possible. 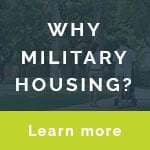 West Point Family Homes serves as the on-base housing community for active duty Army families assigned to West Point and we also welcome qualified military retiree, DOD civilian and general public applicants in select neighborhoods. A completed housing application is required in order to be placed on the wait list. Other documentation may be required depending on your situation, including a copy of current PCS orders. To accept a home, the Service Member must be signed in at West Point and present confirmation of clearing previous duty station (form DA31).